For both comfort and protection, trust Smittybilt seat covers. 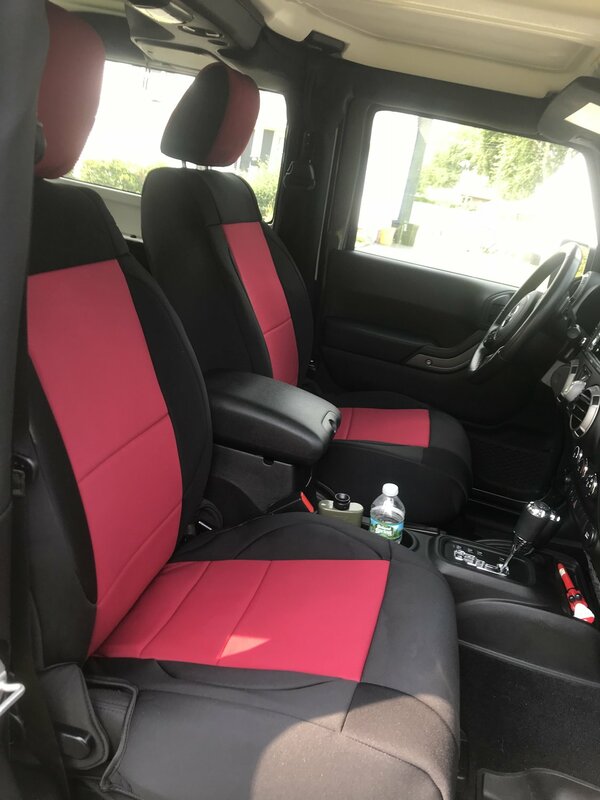 Custom fit Smittybilt Seat Covers provide an extra layer of protection and style for those looking to either refurnish old, worn seats, or help keep new ones in pristine condition. Seat covers crafted from 100% breathable Neoprene fabric for durability and comfort. 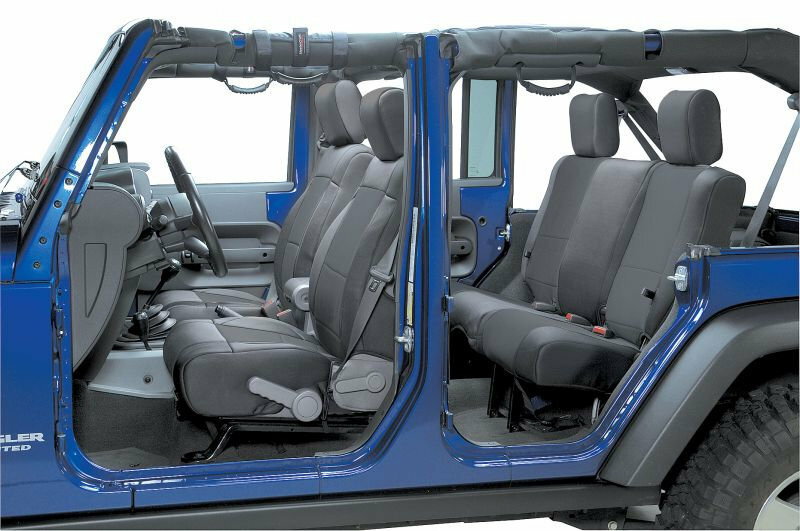 Custom fit for all Jeep Wrangler vehicles, including the new 2007 seat design. Front applications come in pairs with rear covers matching exactly. Center section padded and pleated for comfort. Available in a wide variety of colors at a great, low price. Good fit, looks good, and they’re comfortable. I got mine in red so I took precautions against fading and invested in a UV protectant spray. My only gripe is the quality of the buckles; when I attempted to tighten the drivers side cover the buckle broke with barely any pressure being applied. I switched it out with one from the rear seat cover, as those seats rarely get used, but the fact that this cheap plastic buckle broke right out of the box was definitely disappointing. These seat covers work very well. They are comfortable and provide great protection! The only issues that I have found with them is that they are not very breathable and make you sweat while you are sitting in them. Also, they take a long time to expand after taking them out of the box; my passenger seat cover didn't fully expand correctly and now the flap on the side won't fit properly. Other than that, these covers are a great product at a great price!